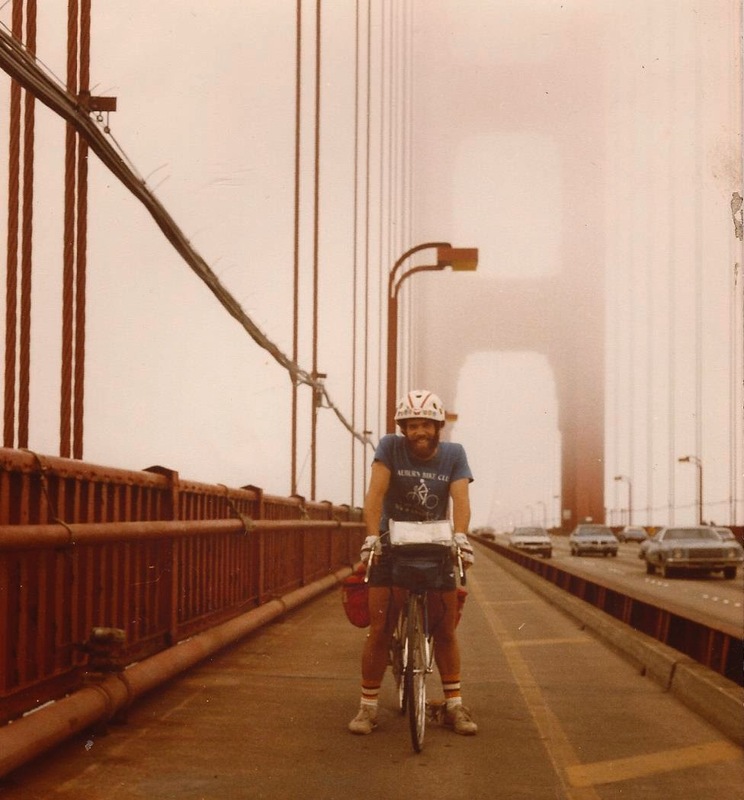 When I was a full-time reporter and moving around the country for newspaper jobs, the first thing I did when I got into a new town would be to break out my bicycle and troll the new city by bike. It was a beautiful away to connect to my new hometown. I'd bike down to main street, and slowly pedal up and down the side streets, then set off on roads that led to neoghborhoood to neighborhood, and even the commercial strips. There was no better vehicle to use to explore my new city. I could slowly soak up so much yet the bicycle would allow me to cover so much ground. Even here in Tampa, where I have lived for the past six years, a 20-mile bike ride around this place always shows me a side of Tampa. Like these two anecdotes today. I was cycling on Swann Avenue heading toward Howard Avenue near the Panera Bread intersection in south Tampa when a yuppie south Tampa guy in a BMW buzzes me and passes me by less than a foot of space. He is texting and playing with his electronic gadget while driving and passing me way too close and in violation of the three-foot buffer law. He was in the left-turn lane on Swann ready to turn onto Armenia when I pulled up on Swann on the far right side of the road. His passenger-side window rolls down and I figure he might apologize for nearly hitting me. But this is Tampa, where drivers believe they own the road and a bicyclist is guilty, I guess, for just being there. He shouts that I should be biking on Bayshore or the sidewalk and that it's dangerous to bike in traffic. I explain to yuppie south Tampa BMW man that he's the one who is dangerous when driving and texting at the same time and that, as a bicyclist, I am part of the "traffic." And here's my other slice of Tampa. I saw this guy at Boulevard and Kennedy about 10 minutes later. That's one juicy taco, my friends. Look at that filling! Like I said, get a good taste of a town by biking around it. Here's a fun feature story for either one of the two daily newspapers in town, but I doubt they'd write about it -- Seminole Heights is Ground Zero for ALL types of bicyclists in Tampa. Seminole Heights is home to one of the fastest cyclists in the region -- Alan Badia. 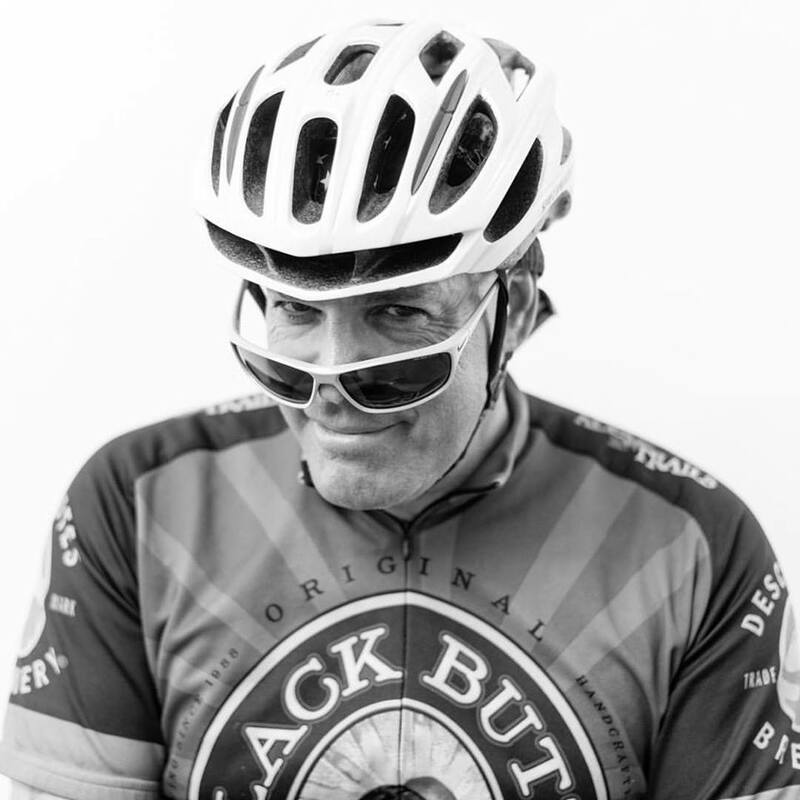 Then, there's the famed Ghost Rider -- Jack Sweeney, a bike-commuting maven. How about bicycle-builder Steve Swiger, who helped me bike 170 miles across Florida in one day. Living near me is bicycle advocate Chip Thomas and even Gena Torres, the former MPO staffer who used to oversee the Tampa/Hillsborough Bicycle-Pedestrian Advisory Committee, counts Seminole Heights as her home. 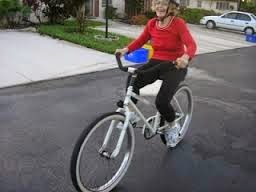 Gena has been known to ride her bike now and then. And road and bicycle planners Angelo Rao and Beth Alden are in the 'hood, too. Lots of people bike-commute from Seminole Heights, like speedy bicyclist Lisa who works at the local Starbucks. And my pal Picot Floyd, who loves bicycles, used to bike 10 miles to the Telecom corporate area off Fletcher Avenue. And how about Chris the firefighter who has a bike shop at his SH home? And let's not forget the hometown Seminole Heights Bicycle Club, which was featured in the November edition of Bicycling Magazine. 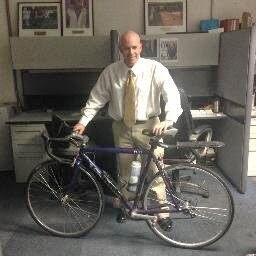 Even St. Pete Times writers Ben Montgomery and Bill Varrian live in SH and ride bikes. My point is that Seminole Heights is fertile ground -- and pavement -- for an amazingly diverse group of folks who love to ride all types of bicycles. Which brings me to this fella this morning who I saw on a Hillsborough Avenue sidewalk crossing Florida Avenue. Like I said, it takes all types to ride in Seminole Heights. When a HART bus driver (pictured above) nearly hit me on Rowlett Park Drive last week and then told me to bike on the sidewalk when I confronted him about the incident, let's just say he picked the wrong bicyclist to try and blow off. I filed a complaint with HART as soon as I got home. The incident is in HART's files as "Transaction 23317." Yes, my putting on the record of nearly being struck by a HART bus is described as a "Transaction." Bureaucratic euphemisms aside, I spoke today with HART's customer service director, Sylvie Castillo, who advised me that the agency looked into the matter and confirmed my report -- that the bus driver did indeed violate the 3-foot minimum buffer law and was counseled about the matter. I was told HART drivers will be instructed to give bicyclists the required three feet of buffer space when passing a bicyclist. I appreciated the customer service director's follow-up conversation. But I still plan to speak at HART's Board meeting on Monday at 8:30 AM about the incident and advise the agency that as a response HART wiould be required to post signs on its bus exteriors to tell motorists to give bicyclists the requited three feet when passing and to share the road. The bus driver's response of telling me to bike on the sidewalk is part of a bicycle culture in Tampa, where bicyclists are marginalized and intimidated by car drivers who don't understand that they are required under law to share the road, meaning passing a bicyclist by a margin of space of at least three feet. I plan on enlisting HART Monday to help spread the word to the local Tampa-area citizenry. The Tampa Tribune got around to doing a story on Mike Olsen and God's Pedal Power. Long overdue. 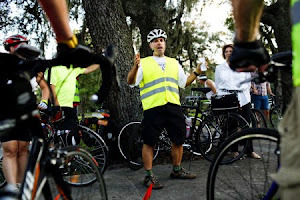 Mike, congrats on adding so much for the pedal power movement in the Tampa Bay area. Today's century: Slow and cold and windy. But great biking companionship with Nick Griffiths, a Moffitt Cancer Center employee (pictured left) who joined me for our annual 100-mile Century of Trails ride between Christmas and New Year's. I piece together trail segments of the Suncoast, Starkey, Pinellas, Howard, Upper Tampa Bay and Al Lopez parks/trails along the way -- thus the Century of Trails. At 7:30 a.m., Nick and I pulled away from my house in Seminole Heights and began pedaling north into the teeth of some mighty cold winds. To combat the wind and cold, I wore three long-sleeve shirts, a jersey and a windbreaker vest. Those two pairs of socks helped, too. We biked north to Bearrs Ave., then north on North Dale Mabry en route to the Suncoast Trail at Mile 17 before paying a pit stop at SWFBUD store owned by Geoff Lanier. Geoff was the perfect host, making a cup of hot chocolate for Nick, who was chilled by the northerly winds we were bucking for the first 20 miles. From the Suncoast and Starkey trails, it was off to New Port Richey and US 19, and then south to Tarpon Springs at Mile 45. We lunched on giros at Mama's -- a terrific restaurant a block off the Sponge Docks. At Mile 50 in Tarpon, we reached newly-minted Howard park, which was fixed up and improved for a re-opening that just happened yesterday. The new metal garbage cans glimmered. The asphalt along the causeway was smooth as silk. And 2,000 people showed up to check out the new-and-improved park Monday and there was a steady stream of cars that visited the park on the gulf and trolled the parking lot for views. Pam the park ranger worked as a human stop sign. That's how new the park is -- the post was not even ready to hold the stop sign. We biked along the Pinellas Trail, pushed southward by those winds that blew out of the north. From Mile 55 to 65, we cruised from Tarpon Springs through downtown Dunedin and made a left turn to start heading east at the Toronto Blue Jays spring training stadium. That's the spring stadium of the Blue Jays -- Canada's only Major League Baseball team, in honor of that pedaling Canadian, Nick. As Nick put it, the Upper Tampa Bay Trail is a very manicured trail. About 6 1/2 miles of 911 markers with a lovely ranger station with a meeting room. It also has the finest piece of bicycle infrastructure in Hillsborough County -- this bridge and S-shaped trail section under Linebaugh Avenue. The Upper Tampa Bay stretch of Miles 75-81 went by quickly. So, we're at Mile 92 pedaling east on Hillsborough Avenue and this pair of bottom-dwelling roadkill decide to saunter across a busy six-lane highway. The Adventure Cycling Association would like to invite you to a special Adventure Cycling regional gathering in Tampa on Saturday, January 16 from 5:30 to 7:00 pm. Adventure Cycling's Executive Director, Jim Sayer, will be in town and will be sharing the latest news on bicycle travel and adventures in North America (and perhaps beyond!). He'll be looking to the year ahead, with new routes, trips, and policy and outreach initiatives to improve bicycling and bike travel in the U.S. There will also be time for you to share your thoughts, ideas and stories. Refreshments will be provided. Join Adventure Cycling at the Carrollwood Bicycle Emporium for this event. It is located at 14407 B North Dale Mabry. For directions, click on http://cbebikes.com/storelocator/ -- or call 813-963-5765. Please RSVP by January 13th by responding to Beth Petersen at 800-755-2453 x 211. Advejture Cycling also encourages you to invite cycling colleagues, other friends or family. The event is free and open to the public. Adventure Cyclcing is also looking for a few volunteers to help with the event and prepping the gathering location. Please contact Kylie Paul at kpaul@adventurecycling.org or 800-755-2453 ext. 210 if you are interested. Wonderful read in Bicycling Magazine about movie star Matt Damon and brother Kyle riding a tandem in South Africa. In June, I was cycling on a road outside Baltimore and saw a garage sale. Stopped by and, lo and behold, there it was -- a video of Breaking Away. Fifty cents later, I had a video of Breaking Away tucked in a jersey pocket in the small of my back. Bridget played the video tonight and we saw it. Still loved the writing of the movie's screenplay. In fact, the movie's writer, Steve Tesich, won an Academy Award for Best Original Screenplay. A few other folks liked Breaking Away, too. Like the American Film Institute. 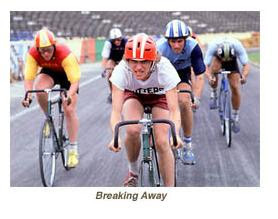 In 2006, Breaking Away ranked eighth on the List of America's 100 Most Inspiring Movies -- a list made by The American Film Institute. In New Zealand, naked bicycling is OK, but do wear a helmet. A tip of the helmet to Harold Mitnick of the Suncoast Cycling Club. Merry Christmas from Bicycle Stories. Santa sure is tuckered out. In St. Petersburg, Mayor Rick Baker took a city that was among the worst for bicyclists in the country and turned it around. A worst-to-first success story, St. Petersburg is recognized annually by the League of American Bicyclists. In Tampa, Mayor Pam Iorio has given lip service and done very little to help bicyclists. As a result, Tampa is a city where roads are designed for drivers, some police officers don't know the bike laws and many bicyclists don't feel comfortable on roads where drivers think they own the streets. Iorio is no friend to bicyclists. But Tampa has a political advocate for bicyclists. She's Councilwoman Linda Saul-Sena, who SWFBUD recognized with a SWFBUDdy Award during the Oct. 11 Bicycle Bash. (Baker also received a SWFBUDdy). I sent a potential funding source for city bicycle needs to Tampa city staff, but never heard back from the Tampa city employees. Saul-Sena picked up the ball and contacted Iorio and several other city staffers in an email and asked to meet them in early January to discuss this potential funding source. Saul-Sena also recently appeared before the Selmon Expressway Board at a hearing about highway improvements and asked that an urban greenway be incorporated into the project. Nico Stearley and Anna Vasquez, architects at HOK who are volunteering to design the Urban Greenway, praised Saul-Sena for her support: "We were gracious to hear Councilwoman Saul-Sena publicly share her support for the Urban Greenway’s integration into the project whether or not the TIGER grant is awarded." Saul-Sena also questioned why bike lanes were no being striped in Cass and Tyler in downtown Tampa as part of a utility-repaving project when both Cass and Tyler are on the city's master plan for bike lanes. She contacted city staff on that one. Eventually, I did get an email from an employee explaining bike lanes are not part of the project because, in part, "Economic conditions make it very challenging for the City to undertake any 'non-essential' projects at this time." Bike lanes as non-essential? That's city of Tampa for you. I'm glad Saul-Sena is representing our interests and we have a voice in Linda at city hall. Linda, who considered running for Tampa mayor in 2011, has decided to run for a countywide commissioner seat and will face current Commissioner Ken Hagan in a county commission race in 2010. If you are a bicyclist in Hillsborough County, I hope you will back Linda's run for county commissioner in 2010. For the second time this year and the third time in three years, a HART bus driver nearly killed me on Rowlett Park Drive in Tampa. This time, it happened at 11:50 AM while I was cycling my road bicycle and heading south on Rowlett Park Drive. Today, the bus driver was driving Route 18 in bus 2013 and I took a photo of him at a red light on 22nd Street. The bus driver came within only a few inches of hitting me when he passed me while traveling south on Rowlett Park Drive. This is the same road that I asked the city of Tampa to have "Share the Road" signs and was told initially a sign cost too much to maintain. Eventually, a city transportation director gave in and approved the Share the Road signs, but then Mayor Pam Iorio laid him off. When I caught up with the driver today, he claimed he did not know that there is a law that requires a driver to pass a biyclist by a minimum of three feet. He said he had to pass me so closely because there was oncoming traffic in the opposite lane. When I explained to the driver that he should have simply waited a few seconds for a few cars to pass by in the opposite direction and then safely move around me, he told me to bike on the sidewalk. This is very disappointing because I met Assistant Police Chief John Bennett to discuss bicycle laws and safety in Tampa. If a public bus driver does not even know there is a law requiring a vehicle to pass a bicyclist by a minimum of three feet, you can only imagine how clueless everyday average drivers are about the three-foot buffer law. "You know what's going to happen? They're going to kill someone," said bicyclist and Tampa lawyer Tom Singletary, a member of SWFBUD. In 36 years of dealing with car vs. bicycle accidents, Singletary said he was not aware of a single case where a police officer gave a ticket to a driver in a case against a bicyclist. I filed a complaint against this driver and I gad to go through three people or electronic answering stations to finally reach a live human being by the name of Margie. Margie coldly took the information -- the road name, the route number, the time. No "sorry that a bus nearly hit you" from Margie. I will be attending the next HART board meeting to ask about the agency's bicycle awareness education. Kudos to SWFBUD store Bicycle Outfitters in Seminole for putting on a Christmas Lights Bike Ride tonight. We gathered at Osceola High School and biked across Bryan Dairy Road into the Lights of Lake Park Estates to check out the holiday lights and donate a few bucks to the Gulfcoast Hospice. It was a ride of about 3 1/2 miles and we all enjoyed hot cocoa and cookies at about Mile 3. Adam Beland, owner of Bicycle Outfitters, did a nice job pulling off the Christmas Lights Ride tonight. ABC Action News stopped by for some coverage and check out tonight's 11 PM newscast on Channel 28 for the bike ride report. I'd say about 150 people of all bicycling backgrounds showed up on road bikes, recumbents, cruisers, fixed gears and trikes. If you want to tell the world to share the road, you can say it on your jersey. 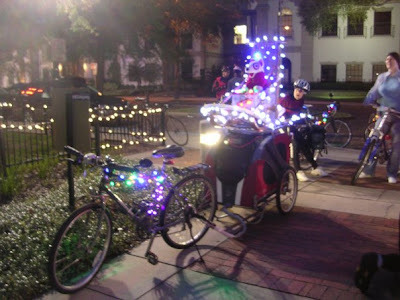 Bicycle Outfitters (a SWFBUD store) is having a terrific, fun, casual and easy Christmas Light Bike Ride tonight -- leaving from Osceola High School at 6 PM and returning at 8 PM. Please arrive 20 minutes early for ride. Osceola High School is at 9751 98th Street North in Seminole 33777. Enjoy the Lights of Lake Park Estates and there will be hot chocolate/refreshments midway through the 3.5-mile bike ride courtesy of the Perkins Family. Feel free to decorate your bike -- and front and rear safety lights are required. This is a fun night ride. Pinellas County Sheriff's Office deputies will be directing traffic for safety. Lake Park Estates neighborhood is raising money for Hospice, so please try to bring a dollar or two for donation, if possible. Contact: Adam Beland, Matt, Nicole or Richard at Bicycle Outfitters in Seminole at 727-319-2453. Terrific story on Americancity.org about how cities can benefit from embracing bicycling and building roads that are hospitable to cyclists. And a bonus story from that radical magazine, Parade, the fluffy publication stuffed in just about every Sunday newspaper. The Columbia, MO mayor invests in bicycling. Bicycle Stories sister sent this snowy postcard photo from metro Baltimore. The mid-Atlantic area got socked with a snowstorm. When I lived in Denver, I used to put on the big knobby tires and pedal all around. Lots of fun. Cities For Cycling -- How About It Tampa, St. Pete? I wonder why Tampa, St. Petersburg or any other Florida city is not part of Cities for Cycling? Congressman Earl Blumenauer, New York City Transportation Commissioner Janette Sadik-Khan, and artist/musician David Byrne joined officials from 15 big U.S. cities to unveil Cities for Cycling Tuesday, Dec. 8 at Newseum in Washington, D.C. Cities for Cycling is a new effort by city governments to promote best practices in urban cycling and to increase the use of bicycles to improve urban mobility, livability and public health while reducing traffic congestion and CO2 emissions. Bikes Belong and the SRAM Cycling Fund are providing support for Cities for Cycling - a project of the National Association of City Transportation Officials (NACTO). Cities for Cycling is comprised of transportation and elected officials from Atlanta, Baltimore, Boston, Chicago, Detroit, Houston, Los Angeles, Minneapolis, New York, Philadelphia, Phoenix, Portland, San Francisco, Seattle, and Washington, DC. "The launch of Cities for Cycling shows that big-city mayors and transportation leaders see bicycling as a cost-effective urban transportation solution," said Tim Blumenthal, Bikes Belong Executive Director. "The group will quickly become a respected voice in the growing movement to make bicycling safer and more convenient coast to coast." Cycling is booming in cities across the nation. According to the American Community Survey conducted by the U.S. Census Bureau, bicycle commuting in the largest U.S. cities has increased by 50 percent since 2000. Still, much work remains to make cycling a mainstream mobility option. Improving bicycling facilities has allowed cities like Portland and New York to vastly increase commuter cycling and reduce injuries and fatalities to cyclists. From protected cycle-tracks to bike boxes and special traffic signals for bikes, Cities for Cycling seeks to catalog and share these emerging best practices among leading cities and encourage State and Federal governments to adopt the new design treatments as standard practices. "Cities have been going it alone with their bike networks," said NYC Commissioner Sadik-Khan, who is President of the National Association of City Transportation Officials. "Cities for Cycling will create a forum to discuss and develop best practices and speed the adoption of innovative design guidelines at the federal and local levels." Cities for Cycling will feature an online warehouse of bike-friendly street best practice factsheets as well as a library of links to cities' technical design guidelines for innovative bicycle facilities. The project will convene leading bicycle experts from cities around the United States and abroad to share information and stimulate the development of a new generation of better bicycle facilities. Well, Hillsborough County still has a county administrator -- Pat Bean, the quiet, good ol' lady who has been around county government for more than three decades stayed alive on the job even though Commissioner Mark Sharpe wanted to give her the axe. Pat Bean is perceived to be in Commissioner Jim Norman's back pocket and screwed up affordable housing money by letting $2 million go unspent. Neither Pat Bean nor Jim Norman are fans of bicycling, as far as I can see. But despite a rough year for Bean, five of Sharpe's commissioner colleagues on the seven-member board of county commissioners voted to keep Bean on the job, mostly because the county would have owed her $482,000 for two more years on her contract that expires in 2011. So, Bean did get a slap on the wrist, instructed by her bosses -- the county commissioners -- to return in January with a vision for Hillsborough County. Here's Pat after the meeting. Interesting New York Times story about a MIT lab designing a wheel that saves the energy when a cyclist hits the brakes and saves it for when the bicyclist needs an energy boost. Cool stuff. Bike pal Ellen sent this one over. On the way to San Antonio today to bike the hilly roads of Pasco County, I saw this truck that obviously was not impressed with the Florida law passed last year that banned bull genitalia from hanging on trailer hitches. The vehicular testicles may be a no-no, but this trucker displayed his personal version of Truck Nuts. When you bike on a road you get to see Santa gargoyles with serious chiseled guns. This guy was on 22nd Street near Sligh Avenue. We need a song to accompany the effort to re-open the Friendship Trailbridge just like this one about getting access to a bridge. It's fun to match bicycles with music. MPO 2035 Transportation Plan hearing on Wednesday, Dec. 9. SWFBUD's message: Bicycle and pedestrian improvements deserve more funding under the MPO long-range plan. Kudos to green vest-clad bicyclist Jose and the other 13 cyclists or so who delivered teddy bears via bicycle during an Seminole Heights Bicycle Club Urban Ride to Channel 8. The delivery of the teddy bears for sick kids in Tampa made the news. The Holiday Teddy Bear Urban Ride will probably be an annual ride every December. Channel 8 took some footage of the teddy bear delivery for a newscast Saturday and check out some more photos here. Nice to combine bicycling with giving this holiday season and it was cool that members of other clubs joined in the ride. We take a break from regular bicycle programming to post some photos for Bicycle Stories' annual holiday bash, LATKEFEST. 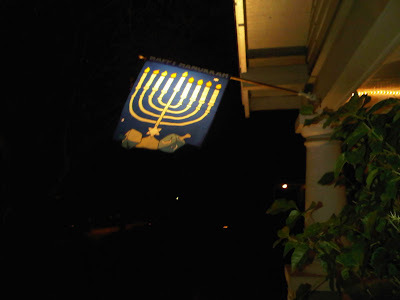 Saturday night was the LATKEFEST celebration -- an evening filled with laughs, love and latkes. In case you're curious and haven't heard of a latke, it's a potato pancake baked as a celebratory food item for Chanukah -- the Jewish Festival of Lights. It also makes a helluva carboloader if you're fueling for a long bicycle ride. Family flew in from out of town in the form of my bro-in-law Harsh, who visited from Baltimore to celebrate and lend a helping hand. 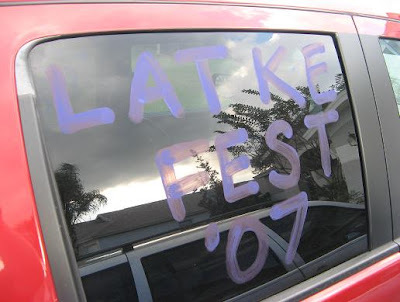 Jeff posted a a funny and lovely report on LATKEFEST. I couldn't have pulled off L-FEST without my lovely co-host Bridget. Double-skillet action is the key behind making 150 latkes. My sombrero brother and literary food wiz Jeff shows off his holiday headgear gift. I joined Jeff with my red sombrero. (No relation to red hat club). Kudos to 15 local bicyclists such as Jose, Jack "Ghost Rider" Sweeney and Jim Shirk for biking the Seminole Heights Bicycle Club Holiday Teddy Bear Urban Ride this morning and dropping dozens of Teddy Bears at Channel 8 in downtown Tampa this morning. 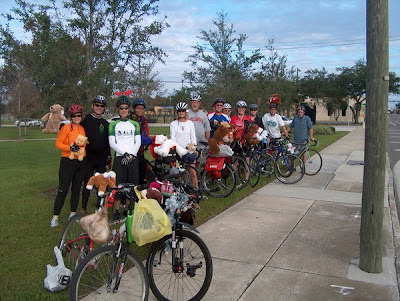 I heard 15 cyclists did the ride from Seminole Heights to Channel 8 to deliver the teddy bears. Great job, guys. 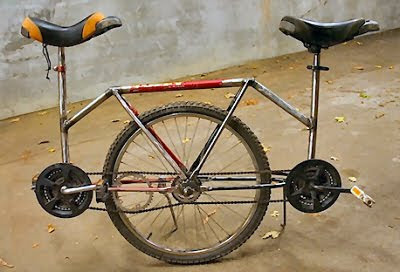 Afterwards, I got my cruiser ready for the SHBC Holiday Family Ride -- the second ride in the SHBC Ride Doubleheader today. Bridget's bicycle is decked out for the Holiday Family Ride. SHBC member Jose, who came up with the idea to deliver Teddy Bears at Channel 8 during the Urban Ride, stands proud before the SHBC Family Ride. Sweetie Bridget and brother-in-law Harsh in town for LatkeFest tonight chat while cycling the Family Ride. Young Eddie next to the LatkeFest bicycle. My, has the world changed upside down. Here in the Tampa Bay area, where some drivers yell at me as a bicyclist to get off the road and where bicyclists die at a higher rate than just about any place in the U.S., it seems like there are some people in St. Petersburg who believe it's the bicyclists who are the meanies and making life oh so miserable for the poor, meek driver. Ironic, isn't it? So many people, especially on the Tampa side of the Bay, tell me they're afraid to bike on the street because of Tampa's "unfriendly roads." Even the new police chief in Tampa, Jane Castor, acknowledged in a recent email to me the "unfriendly" nature of roads for cyclists. I know many people who want to bike on the road, but choose not to. They're too afraid of motorists and believe they will be struck by a car and injured. Yet, have you ever heard of a motorist who won't drive on a road because those nasty bicyclists make it too dangerous for them to drive? Now, don't get me wrong. Just because you're a bicyclist doesn't automatically make you a decent and human being. Bicyclists and motorists have to cooperate in sharing the road together. We're equals as far as the legal right to the road. The car just happens to be the vehicle that goes faster (most of the time). We all know the Tampa Bay area is behind the rest of the country when it comes to roads that are wide enough to comfortably accommodate both driver and bicyclist and also when it comes to drivers being informed about state laws that recognize bicycles as vehicles and allow bicyclists to "take the lane" under specific sets of circumstances. Which brings us to the recent email discourse between Tim Butts, the president of the St. Petersburg Bicycle Club, and Judy. president of the Lakewood Civic Association. Seems like Judy and nameless people she cites in her letters have a problem with bicyclists in St. Petersburg because they supposedly hog the road and say unpleasant things to drivers. Tim responds by saying a bicyclists have a right to the road and suggests Judy and her friends in Lakewoods study the law. And then there's someone by the name of Bret Meyers, who sent an email to Judy including two videos of bicyclists on the road that upset Bret. I believe Bret is the anonymous person who has commented on this blog, but never left his name. In his email to Judy, his name was listed on the top of the email. As before, I will publish the letters in the interests of letting people read the arguments. I hope this is finding the correct person. You are being mentioned in Alan Snels blog regarding cyclists and their lack of courtesy and lack of uage of existing bike lanes. We face the same type of cyclists out in the country also. Alan of course wont respond to my emails regarding the nastiness of the cyclists. I thought you may be interested in the videos below; they show typical behavior of these cyclists in the greater Tampa Bay area. I hope you can use the videos to support your standpoint, cyclists breaking FS 316 by running stop signs, riding more than 2 abreast, not using bike lanes, etc. This was sent to me totally without solicitation. I said it before and I'll say it again: The public is tired of this war. Notice the use of words in this email: Nastiness. Lack of courtesy. These images of our local bicyclists are becoming universal and nothing, I'm sad to say, has been said to me or anyone else who witnesses this behavior to make us believe that the violators have any intentions of backing down. We keep hearing that the Club is telling its members to behave, or that the Club is fairly certain it isn't their members doing this. But I think the credibility is wearing thin. The horrible truth is that nothing is going to change here until there is violence - that's usually the sort of event that drives change in this world. I have two male friends who are both very passive, non-aggressive, educated teacher-types who wouldn't dream of using foul language or raising a fist, and both of them have rolled down their car windows and blasted bicyclists. Says the university professor who got his head bashed in for protesting the war in ' Nam : "I hate them." Strong stuff. I did note that the cyclists (apparently) took a right turn on red (8/29; 5:04) without stopping, after an SUV illegally pulled in front of them, onto the shoulder of a multi-lane roadway (the Pinellas Bay Way ). That maneuver appeared to be safe and did not impede or affect any other traffic. And, for reference, that group was not from St. Petersburg Bicycle Club. I watched both videos and the cyclists shown (most of whom I know) were riding in a safe and legal manner. They did not run any stop signs (there are none on the route shown); there is no legal requirement to ride in bike lanes; and although they did ride more than two abreast occasionally those appeared to be transient occurrences as one cyclist passed others. For the most part the cyclists were riding on multi-lane roads and did not in any way impede traffic. Again, they were riding in a safe and legal manner. Please tell me exactly where (what times) do you believe these videos show illegal behavior by cyclists (other than potentially as noted above)? Did I miss something? Clearly, one problem is not the behavior of cyclists but the understanding of the law by motorists in general and the residents of Lakewood Estates. I’ve tried to be subtle and polite about it, but now I am specifically asking that you forward the attached document to your residents and ask that they read and understand the rights and responsibilities of all vehicle operators, cyclists and motorists. Note that I am copying the City of St. Petersburg Police Department and others. I found your reference to violence (“road rage”) very disturbing. Hopefully Sergeant Dukeman or another representative of the Police Department can speak to you and the gentlemen you reference about that issue. Also note I am copying Alan Snel on this response. If you don’t want your e-mails on his blog I’m sure he will respect your request. He is welcome to post my comments if he wishes to do so. You missed the point. This is what I am trying to convey: It's an image problem. It's a communication problem. It's a spin problem. And Lakewood is not the problem; our residents have been relatively quiet on this subject. But neighboring areas have been vocal. Let's not limit this to Lakewood ; most of what I personally see by way of discourteous behavior is around the university and on Pinellas Point Drive . I am not advocating violence; I am merely trying to pass on some hint of the tenor of the messages I get, all over the city, when the subject comes up. We have spoken about this at our meetings and urged people to share the road, but what we get back is anger and resentment, built up over the last few years in which there was so much abuse by the bicycles. Now you are forced to back and fill to get the right message out, and resenting what I tell you, getting defensive, taking umbrage, shooting the messenger, implying to the police that I am advocating the use of violence are counter-productive. Where is your suggestion for a solution to this problem? I think you need a massive public education effort, using a PSA or whatever you can afford. The public's perception of the bicycle riders in this city can't possibly get any worse. It does no good for me to educate the residents of Lakewood about the proper use of the road if the bicycles are going to continue to violate the rules. Which is pretty much what's happened. I believe you are sincere and you are just passing-on the more obnoxious comments. I’m copying the Board on this e-mail for their input. We will discuss a response to your question “Where is your suggestion for a solution to this problem”? We will get back with you, but it may take us more than a few days. However, part of the “solution” (as such) will be more education of motorists. They may not like “sharing the road”, but it is the law. And part of the problem is simply “road rage”. Here is a link to a site explaining “road rage” - http://www.bicyclelaw.com/road-rights/a.cfm/road-rights-what-is-road-rage. Reminder: The Seminole Heights Bicycle Club is staging two holiday rides Saturday. At 8:30 AM, the Holiday Teddy Bear Urban Ride leaves the Garden Center at 5800 Central Avenue to deliver Teddy Bears at the Channel 8 News Center in downtown Tampa. Feel free to bring a teddy bear along for the ride. This is a fun ride because the SHBC hopes other bike club members come from around the Tampa Bay area to join the fun. About 12 miles at about 12-14mph. At 11 AM, the Holiday Family Ride leaves 1203 E. Powhatan Ave. for a fun, slow bike ride through Seminole Heights. Easy pace and only 5 miles. Dress up your bike in holiday decorations for both rides. Also on Saturday, the Bicycle Outfitters bike shop in Seminole is doing free tune-ups, including fixing flats, tightening bolts and replacing assorted parts at the Rainbow Village Main Office, 12301 134th Ave. in Largo from 9 AM to 1 PM. For more information, contact Bicycle Outfitters at 727-319-2453. Bicycle Outfitters is a member of SWFBUD. Potential Funding Source To Make Tampa's Streets Safer For Bicyclists? A common response I receive from the city of Tampa government about improving bicycle infrastructure is that the city has no money to improve city roads and streets for bicyclist safety. In response to that, I am sending you what I hope is a potential funding source. It does require someone from the city government to apply for the money and I hope the city would be willing to explore that option. As you know, Tampa has a national and local reputation for being a city that's unsafe for bicyclists and I hope this potential funding source could provide money to stripe bike lanes and widen roads so that bicyclists can safely pedal the streets of Tampa. I hope we can work together to change Tampa's reputation as a place that's not hospitable to bicyclists. Tonight I represented SWFBUD at the MPO2035 Long Range Transportation Plan hearing at the county center in downtown Tampa. The Plan was approved by the MPO Board, a collection of county commissioners, city council members and transportation officials to make decisions about transportation planning. No surprise the 2035 was approved. But what was a major surprise was when MPO Board members Tampa City Councilman John Dingfelder (interested in running for county commission), County Commissioner Rose Ferlita (interested in running for Tampa mayor) and County Commissioner Mark Sharpe (you know he's going to run for something) talked about a bike lane. I know, who knew three politicos were so interested in a bike lane? But the bike lane issue surfaced at the hearing when local South County activist Mariella Smith did a terrific job explaining how the proposed bike lanes under the 2035 Plan were centered around the Tampa area and that bike lanes were lacking on Shell Point Road and 19th Avenue in south county. Dingdfelder, Ferlita and Sharpe all voiced concerns about making sure the bike lane would be striped under the plan. For the record, I told the MPO Board that the tiny slice of the proposed money pie for bicycle and pedestrian infrastructure was too small compared to the money spent on light rail and cars under the proposed plan. The MPO spent a lot of time working on this 2035 Plan, and MPO staffers Beth Alden and Gena Torres who are Seminole Heights residents do support bicycling and pedestrian improvements. But if the Tampa Bay area is going to move up from being near the bottom of the barrel in the U.S. in terms of bicycle and ped safety, our region needs a Marshall Plan-like overhaul of our bicycle and ped infrastructure and needs the city of Tampa Transportation Dept. to do more than build more than bike lanes on TWO roads (Manhattan Avenue and 40th Street) in the six years that I have lived in Tampa. Although we didn't get our bikeways added to the 2035 Transportation Plan's list of funded projects, we did make progress at tonight's final hearing of the Metropolitan Planning Organization (MPO) board. Thanks to all of you who sent in comments and e-mails, some of our elected officials got the message loud and clear tonight -- that South County citizens want to see our community connected with greenways, trails and bikeways. The issue is now on the radar of our transportation planners and decision-makers, and they are promising to find some other way of funding these amenities, which we have spent years planning for. Joe Smith spent a good part of his allotted 3 minutes speaking in support of Greenways & Bikeways for South County, too, highlighting our area's history of planning for these corridors as part of our goal of promoting ecotourism. Alan Snel (cycling advocate supreme) spoke in support of more funding for bikeways throughout the county. Thank you, Joe & Alan! John Dingfelder really went to bat for us! (He's a member of the MPO Board, a Tampa City Councilman, and a candidate for County Commission.) He reiterated the point I made that MANY bikeways were being funded everywhere else, but NONE in South County, and he asked the board to look again at that map of funded bikeways. When county staff said they couldn't fund any bikeways in South County because so many other roads elsewhere were higher on the priority list, given their criteria of population & accidents etc., Dingfelder argued that the criteria needs to include some consideration of equity. He said as it stands, they're treating all of south county like we don't ride bikes. John Dingfelder acknowledged the years we have spent working on community plans that include these trails, and he pressed hard for staff to revisit the issue within the next 6 months, and find some other sources of funding. Transportation staff began tonight thinking of ways this could be done -- possibly in conjunction with resurfacing projects. County Commissioner Mark Sharpe also voiced support for bikeways in general, and Commissioner Rose Ferlita indicated a willingness to work on this in the future with us. Thanks to all of us pulling together, we made our county leaders & planners aware of the need for viable, connecting greenways & bikeways; particularly in South Hillsborough; and specifically the bikeways looping east-west along Shell Point Rd. & 19th Ave. -- connecting Ruskin, Sun City Center, 4 schools, 2 libraries, 2 parks, the Suncoast Greenway and the bus/transit station. They now know that this IS important to us, and they are listening, and trying to find ways to turn these "needs" into funded projects. I thought Tim Butts, president of the St. Pete Bike Club, did a great job at writing a letter to a civic association president who was complaining that cyclists in her neighborhood was hogging the lane. What I'm going to do is first post a letter from a Lakewood resident to her civic association president, Judy; then the letter by Judy, the Lakewood association president and finally Butts' response. I just wanted to take a minute and say thanks for your diligence and hard work and for keeping up on everything the rest of us need to be keeping up on. Your effort and hard work are much appreciated by me and my family. On another note I was wondering what if anything is happening with the bicycle riders using our neighborhood for their personal track? I noticed that streets are being marked out for a bicycle lane meant for single file riding. At the same time I have observed 2 people riding side by side and still taking an entire lane to themselves. Also, I was behind one solo rider who was determined not to let me pass no matter how much room I gave him. It seems that it’s the solo riders or the couples that cause the most trouble. we had one of these experiences. He was not driving too closely or trying to pass with oncoming traffic he was simply trying to safely maneuver the road. Riders comes thru here in bulk and they seem to manage, for the most part, to stay orderly and far enough to the side so that you can pass without incident. 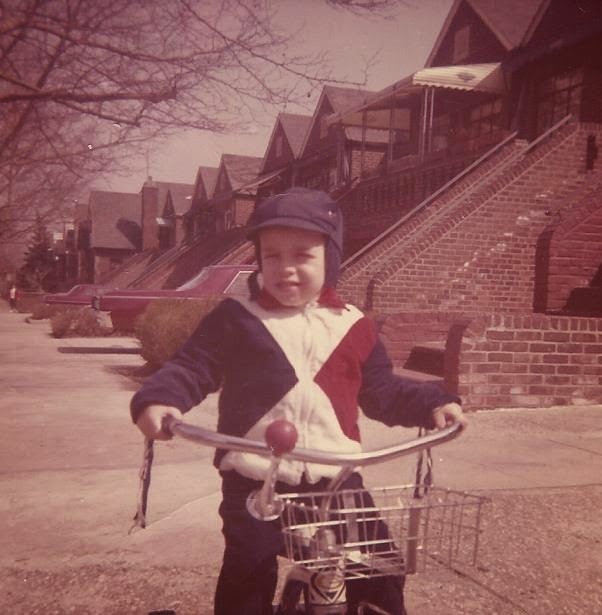 his bicycle when he was young because of the people who sped thru here so fast that they were a danger. Now he has to be extra careful learning to drive so that someone who doesn’t even live here can ride his bike all over an entire lane. Judy, is there someone I need to contact or email or maybe write a letter about this issue? What can I do to make this better or is there anything to be done? I am passing this on to the new mayor and to my contact in the St Pete bike club but wanted you to know that continuing to add bike lanes is becoming a real problem in this city. The lanes this man is talking about, recently added on Columbus , and are never used by the peletons - they ride now and always have ridden in the middle of the road in Lakewood , often using all of it and giving the state bird salute to anyone who objects. They don't even slow down for our 4-way stops, let alone come to a halt. While we are tolerant of the stop-sign infractions, recognizing it is not easy to stop a long line of bicycles, our courtesies are not reciprocated. Much of the western lane on Columbus, in the 5000 block, filled up with pine needles within a day after it was put down, is now virtually invisible, and never used. As before, we are going to have to bring out our crime patrol on a Saturday morning, with a little help from the SPPD, to shake an angry finger at these gangs as they maraud through here, oblivious to the needs of the residents. I recently witnessed a police officer on 3rd Street , one Saturday morning, riding behind a peleton with a megaphone repeating MOVE TO THE RIGHT, MOVE TO THE RIGHT. Not an hour later I saw the same group in Lakewood , back in the middle of the road. I hope we have laid our last bike lane in this city, I truly do. We seem to have carried our desire to be bicycle friendly to an extreme that no longer serves any public purpose. John Sinibaldi forwarded me your e-mail. Although the SPBC appreciates the City Government's continuing efforts to improve the City's "cycling infrastructure" (in this case, per the Lakewood Civic Association Neighborhood Traffic Plan Map, updated in 2007) your comments identify one problem with bike lanes. Obviously, a lane covered with pine needles is not a safe place to ride. In many cases, generally, not just in St. Pete, bicycle lanes are not safe to ride in. One problem is debris or uneven pavement in the bike lanes. In recognition of the variable nature of the roadway surface Florida law does not require cyclists to ride on the right side of the road at all times or in bicycle lanes (Section 316.2065(5)(a) 3, F.S.). The law requires cyclists to ride as far to the right as practical. Practical reasons for not riding next to the right curb of a road or in a bicycle lane include, but are not limited to: debris (i.e. bricks, 2X4's, bottle caps, glass, pine needles, etc. ); pot-holes; bumps; substandard-width of the bicycle lane; and visibility limitations of the bicycle lane. Further, the law (Section 316.2065(5)(a)3, F.S.) allows cyclists to ride two abreast (but not more) as long as they do not impede traffic. An exception to this is where the traffic lane is not wide enough for a motor vehicle to pass a cyclist safely. Although not specified in Florida law, that is generally recognized as a width of 14 feet. That is, if a traffic lane is less then 14 feet wide the cyclist may "take the lane" (i.e. ride in the middle of the road) to prevent the motorist from trying to unsafely pass them. Logically, in that situation, two cyclists riding abreast would achieve the same effect. Although I have not measured them, I suspect many lanes, but not all, in Lakewood Estates are less than 14 feet wide. The Club has and continues to take many steps to educate our members on cycling law, safe riding, and in general Sharing the Road. We have provided documents to our members (Florida Cycling Law Enforcement Guide, Group Riding Guidelines & 10 Rules for Riding with the St. Petersburg Bicycle Club), provided links to various informational web sites (Stpetecycling.com, Floridabicycle.org, and Flbikelaw.org) and provided forums for members to discuss safely/legal issues (Google and Facebook). We continue to look for new methods to educate our members and increase the safety of our group rides. What steps has the Lakewood Civic Association taken to inform its members about cycling/vehicle law and Sharing the Road? Unfortunately, cyclists, even members of the St. Petersburg Bicycle Club, are not perfect, and many cyclists in the City have no relationship with the Club. The Club stresses respect for all other users of the roads: other cyclists, pedestrians, and motorists. If indeed a cyclists in a group ride gives you or one of your members a “one finger salute” please let me know the time and place of that occurrence. I will do my best to identify the offending party and – if they are a Club member - explain to them, in detail, that such behavior is unacceptable in the St. Petersburg Bicycle Club. I will point out that the motorists/cyclists relationship is a two-way street. We - cyclists in the City of St. Petersburg - are confronted daily with threats of injury or death by motorists who are either careless or ignorant of the law, or both. These violations of the law by motorist can cause, and all too often this year have caused, injury to our members. I have no problem with the SPPD enforcing Florida ’s traffic laws and ticketing cyclists for disobeying those laws, if they are enforcing the law evenly and ticket motorists for infractions at the same time. Judy – I have found you in the past to be a reasonable person interested in solutions, not rhetoric, but I must take umbrage with your use of the phrase "...gangs as they maraud through here ...” Those "Gangs" are Florida Citizens (mostly City of St. Petersburg residents) who are riding (marauding?) their bicycles legally on a public road. As Citizens, and Human Beings, they deserve more respect than that. So, I went to Wal-Mart today on Dale Mabry near I-275 and noticed no bike rack and at least five bikes locked to trees and sign posts on islands in the parking lot. So I called the Wal-Mart store manager, a woman named Debbie because her name and phone number was right on my receipt. I asked her to please install a bike rack. And she said she would include a new bike rack when the store is remodeled in February. Let's hope Debbie the Wal-Mart manager was not BSing me. OK, I admit San Francisco might be a little ahead of the Tampa Bay in the bicycle world. Check out how the iPhone has become an effective tool for bicyclists to warn other cyclists about road issues. Tip of the helmet to Bicycle Stories correspondent Steve Swiger for sending this in. I'm always amazed at how communities oppose bicycle lanes and bicycling, in general. In fact, I'm about to run an errand in my neighborhood of Seminole Heights and I plan to hop on my cargo errand bicycle and I can tell you that at 4:30 PM I'll easily get to my destination in faster time than if I took the ol' car out of the garage and drove it the huge distance of two miles to my destination. Anyway, my North Carolina pal Willie Drye sends me this gem about a Hasidic group in Brooklyn opposing bike lanes -- but that some guerrilla bicyclists painted the bike lanes after they removed. I interrupt my daily flow of bicycle content for this gem of a newspaper job (I used to work full-time in the biz). The Seminole Heights Bicycle Club is having a special pair of bike rides on Saturday, Dec. 12. The bike club's Urban Ride leaving from the Garden Center at 8:30 AM will make a pitstop at the News Center on Parker Street in downtown Tampa to drop off Teddy Bears at the Channel 8/Tampa Tribune building. The Holiday Teddy Bear Urban Ride was the idea of SHBC member Jose. The Teddy Bears will go to kids this holiday season. After that ride, yesterday's Holiday Family Ride that was rained out will be rescheduled for 11 AM also Saturday leaving from 1203 East Powhatan Avenue in Seminole Heights. 8:30 AM -- Holiday Teddy Bear Urban Ride, dropping off Teddy Bears at Channel 8. On Saturday, Bridget and I pedaled over to The Independent, a wonderful beer bar on Florida Avenue in Seminole Heights that held its official opening. The Independent in St. Petersburg is known for its wonderful and tasty craft beers and the same can be said about the Seminole Heights bar, which opened two months ago but celebrated a "Grand Opening" on Saturday with some free pilsners, BBQ and contests. Beer and bicycles. That's my red cruiser and Bridget's urban bike. Bluegrass -- an underrated music genre. Cool live music at the grand opening.